Make plans to attend the annual Design Career Fair! 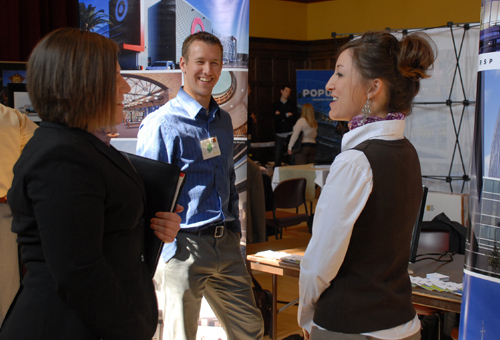 Career fairs at Iowa State offer students an opportunity to begin building long-term relationships with professionals, many of whom are ISU alumni. More information about employers including available positions, booth numbers, majors recruited, office locations, and more can be found using CyHire, Iowa State’s online career management system. Please note that all interviews are scheduled via CyHire prior to the career fair or during the career fair, and please review the cancellation policy below.